Even though it is possible to continue running and continue training if you’ve developed a case of Achilles tendinitis, you shouldn’t feel bad about any fear or anxiety you may have developed. After all, the very name “Achilles” is based in mythology designed to inflict fear. You don’t have to search for long before you find articles that say something frightening about Achilles tendinitis. “No More Running!” is what most runners fear when the Achilles start to ache. But don’t let the alarmists scare you into a state of panic. 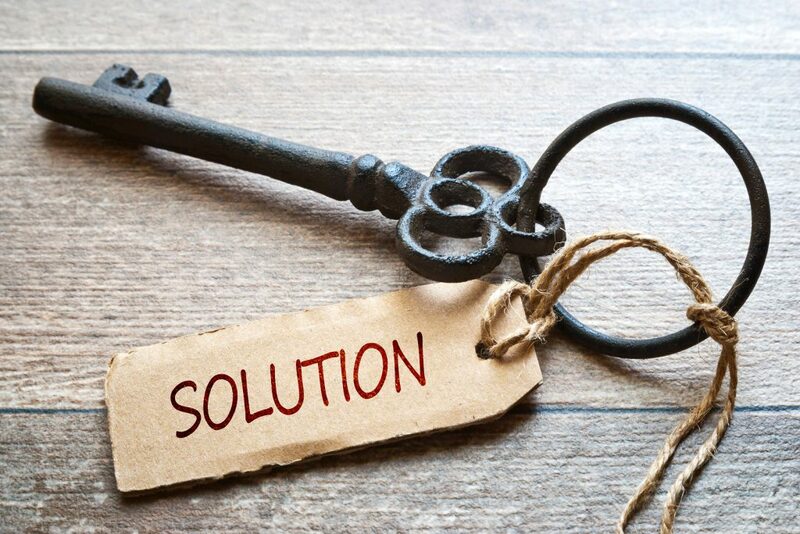 There is always a solution. You just need the right solution for you, your running style and your running goals. The trick with figuring out what you should do with your aching Achilles is to first determine how bad the problem may be. Once you understand the extent of the problem, you can decide on the best way to calm it down, heal the Achilles and get back to running. Who is this Achilles guy anyway? According to Greek mythology, when Achilles was born his mother tried to make him immortal by dipping him in the river Styx. However, when she dipped him in, she forgot the spot on the heel she held him by, which left one small area unprotected. In the end, Achilles was struck by an arrow in his vulnerable heel and was killed. Achilles shares his vulnerability with the rest of us entirely mortal runners, and that is why the tendon which connects the calf muscle to the heel bone bears his name today. But again, the Achilles tendon is the largest tendon in the entire human body and is very strong, but it is also the tendon we rupture the most often. Anyone runner can suffer from Achilles tendonitis, a common overuse injury and inflammation of the tendon. But the key is to heal it as quickly as possible so the trouble doesn’t progress from one stage to the next. Of course, if your tendon hurts when you run, you already know something is wrong with it. So that term doesn’t help you decide what to do. If you want to make a decision about whether you can run, if you should rest, etc., you need to determine what form of trouble is present in the tendon. There are several stages of Achilles tendon problems. So let’s talk about each of these. The prefix “para-” means around. The suffix “-itis” means inflammation. The earliest form of Achilles tendon trouble is Achilles Paratendinitis. This means you have inflammation surrounding the tendon, but not within the tendon itself. In cases of Achilles paratedinitis, there is inflammatory fluid accumulating between the Achilles tendon and the paratenon. The paratenon is a thin covering or outer layer surrounding the tendon. In surgery, when operating on the Achilles tendon, when we look at the paratenon, it basically looks like very thin plastic wrap, like Saran Wrap. As we cut through the paratenon and separate it from the Achilles tendon, we see all of these little very fine fibers stretching apart and separating as we peel away the paratenon. Those fibers are nerve fibers. If you have a little bit of overuse of the Achilles, inflammatory fluid starts accumulating between the Achilles tendon and the paratenon. The inflammatory fluid pooling in there causes a bulge, stretching the paratenon and pulling those little nerve fibers. That causes discomfort of sort sort…often mild aching pain. Achilles tendinitis is inflammation within the tendon itself. Achilles tendinitis can occur anywhere within the tendon, all the way from the heel bone up to the calf muscle. 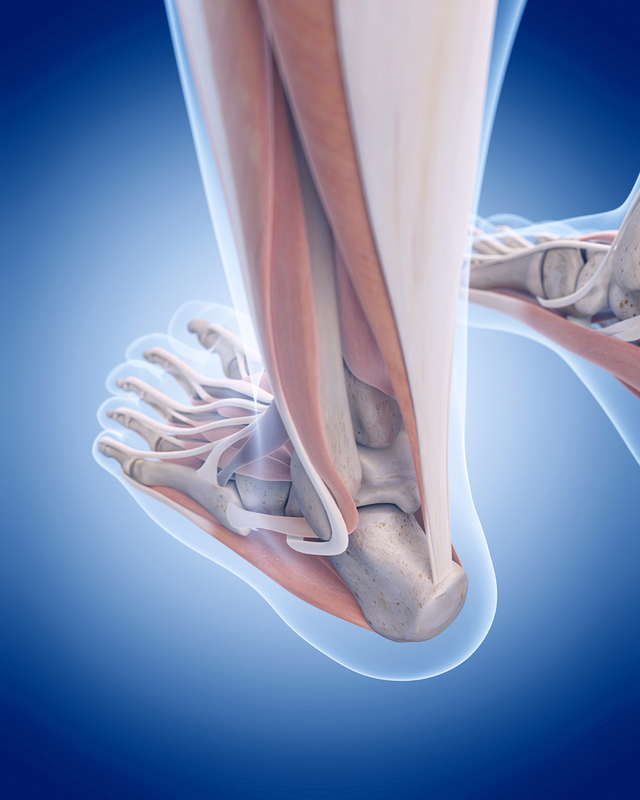 However, most often the Achilles tendinitis occurs in a specific area just above the heel bone. This area, where the tendon is easiest to feel with your hand, happens to have decreased blood flow as compared to the rest of the tendon. For this reason, an overused tendon may become weaker, inflamed and injured in this area. 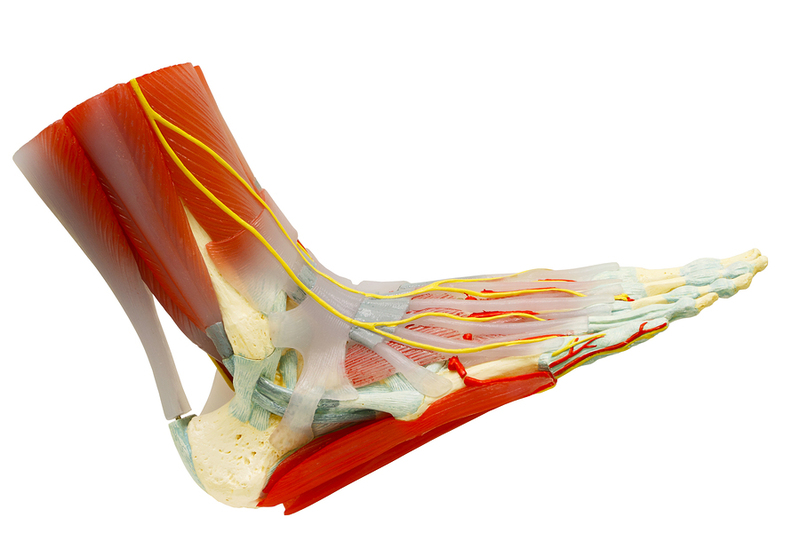 Doctors refer to this specific area as the “watershed region” of the Achilles tendon. Fortunately, in the majority of cases Achilles tendinitis is short lived. It may begin with a small injury or particularly strenuous workout. However, runners, triathletes and other active athletes will often continue to exercise, in spite of the pain. When this occurs, a normal inflammatory response that is supposed to cause healing in the tendon can backfire. When chronic inflammation of the Achilles tendon begins, the inflammatory cells can actually cause damage within the tendon and degenerate the collagen that makes up the substance of the heel cord. This degeneration of the Achilles’ tendon is referred to by doctors as Achilles tendonosis. Achilles tendinosis is degeneration of the collagen that makes up the tendon. It is caused by chronic inflammation and irritation of the substance of the tendon. As it progresses, the fibers of the tendon start to become disorganized. They become weaker and more prone to microscopic tears. Over time, the tearing of the Achilles tendon can progress and make it even weaker. It then becomes prone to rupture or complete tearing. In some cases, the Achilles tendon may rip away from its attachment at the back of the heel bone. Incredibly, sometimes this sort of injury is not even painful. If you notice a lump or firm knot in the back of the Achilles tendon just above the heel bone, this is most likely to the development of Achilles tendinosis. It may or may not be painful if you squeeze it. Because this sort of mass in the Achilles tendon is usually degeneration that makes the tendon weaker, it is very important that you seek treatment to avoid damage to the tendon. I think about this, if you’ve developed actual damage to the collagen in the tendon in such a way that it is actually physically and morphologically different from your other tendon, well you have to think of it as a severe form of Achilles tendinitis? Wouldn’t you agree? 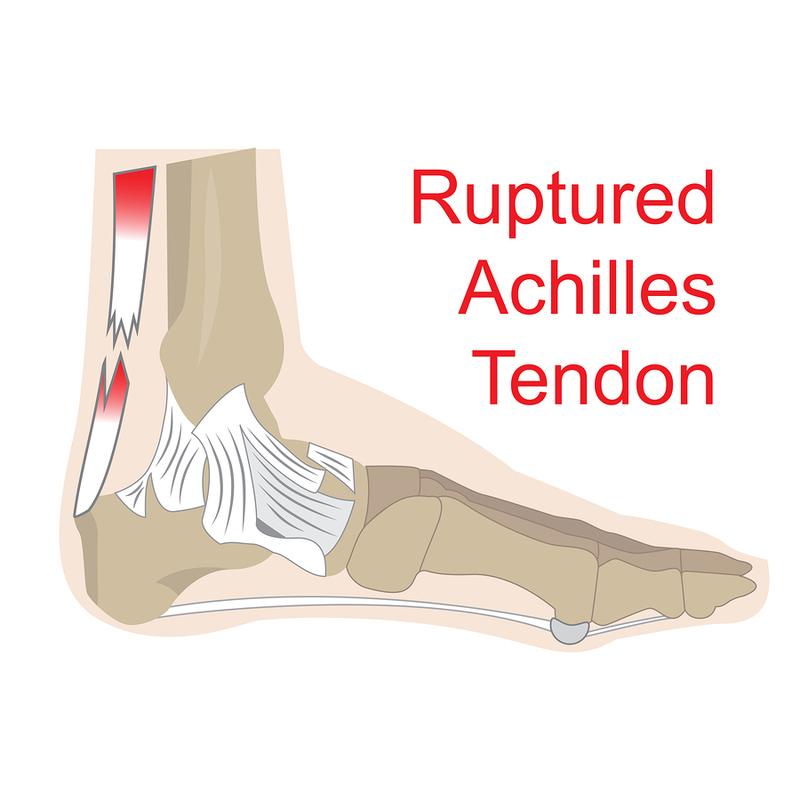 Achilles tendons in runners don’t rip, rupture or tear without first developing tendinosis. But if they do become weaker because of neglect and refusal to fix the problem in its early stages the tendon can get weaker. If the Achilles tendon is week and you are training hard, you can get a partially torn Achilles tendon or even a complete rupture of the Achilles tendon. All three of these conditions are what I think of as the most severe forms of Achilles tendinitis. We’ll talk about all of those in great detail and part two. But the goal here is to make sure you know how to deal with the early, mild Achilles tendon issues, heal fast and avoid any of the more severe forms of Achilles tendinitis. Can you describe the muscles/ligaments/structures that are impacted and what they do when running? The Achilles tendon actually connects your calf muscle in the back of your leg to the back of your heel bone in your foot. You can easily feel the Achilles’ tendon, which is the firm, tight heel cord just above the heel bone behind your ankle. If you squeeze your hand along the tendon and move up the back of your leg toward your knee, you can feel where it blends into the calf muscle. k of as the “calf muscle.” The gastrocs start and attach above the knee. (this point will become important later). But deep to the gastroc muscle is the soleus muscle. The soleus starts below the knee. All three muscles blend in and contribute to the large cable of collagen fibers that comprise the Achilles tendon. Your Achilles tendon makes it possible for you to stand up on your toes when your calf muscle contracts. It also allows you to balance when you walk and push off when you run. Specifically, the gastroc portion of the tendon is what you use when your knee is straight. When your knee is bent, it unlocks the gastroc. So, for example, when you sit in your car and press on the gas pedal, with you knee bent, it is the soleus that is actually pulling on the Achilles to do the work of pressing down on the pedal. When running, the gastro portion is firing as the knee straitens out, but it is the soleus portion that fires when the knee is bent. So this varies as you land, absorb impact, and then launch again when you run. In general, Achilles tendinitis is an over-use problem. Achilles tendinitis is not really a condition that affects couch potatoes. It is common in people who exercise vigorously and continuously… like runners. When Achilles tendinitis starts to develop, there is often a sudden increase in either the duration or intensity of activity. This happens frequently in marathon runners to start a new marathon training program and bump up their mileage. It is also common in triathletes that progress from the Olympic distance to Ironman distance events. It is also seen in otherwise sedentary individuals who began a seasonal basketball league, or start a vigorous running training program without the help of a coach. Cyclists who take up a new intense spring cycling training program (particularly with lots of hill climbing) are also susceptible. While Achilles tendonitis is mostly caused by activity, there are other factors that can put you at risk of Achilles tendon injury. Some medications can weaken the tendon and increase the risk of Achilles tendon injury and ruptures (complete tear). If you are taking steroids (prednisone) or flouroquinalone antibiotics (Cipro, Levaquin, etc.) you should not exercise unless you have discussed this with your treating doctor. You may have seen in the news where the FDA posted a strong “Black Box” warning about these antibiotics and the associated risk of tendon ruptures. What does an Achilles injury typically feel like? At first it may just feel tight. The Achilles may feel like it is getting squeezed. In the later stages, when runners finally start admitting its a problem it hurts about 1-2” above the heel bone. If you squeeze this spot and it is tender, you may notice it is also swollen. Often, it is only swollen right in that area where you feel tenderness. Are there any pains that are often misdiagnosed? How do runners tell the difference? We’re going to diverge from our main topic here just for a minute to make sure you don’t have a different condition masquerading as Achilles tendinitis. Flexor Hallucis Longus tenosynovitis can cause pain in the back of the ankle, deep to the Achilles tendon. I have helped patients through Skype consultations or Virtual Doctor Visits with me who thought they had Achilles tendinitis, but when we have check the Achilles Tendon, it doesn’t hurt. The pain and tenderness is deep to the Achilles. But we rule that out just by comparing the tenderness (or absence of tenderness when we palpate or push on each of those tendons). Retrocalcaneal bursitis is another condition that more often afflicts runners and might be confused with Achilles tendinitis. I have seen lots of patients who thought they had Achilles tendinitis, but when I walk them through the process of self-diagnosis, the Achilles Tendon doesn’t hurt. All of the pain is on the back of the heel bone, near where the Achilles tendon hurts, but it is actually an inflamed fluid filled sac called a bursa that is causing the trouble. That’s a completely different issue. It is important to rule these out, simply because these conditions won’t respond to the treatments that most often help the Achilles tendon heal. Wouldn’t you agree that is important to rule out conditions that won’t get better if you treat it like Achilles tendonitis? You have to understand which symptoms really look like Achilles tendinitis. Achilles Tenderness: if you press anywhere along the course of the tendon and you have anything ranging from mild tenderness to intense pain, this should be concerning. You should never have any pain or tenderness when you press along the Achilles’ tendon anywhere. If you notice tenderness in the Achilles’ tendon, you should see a sports medicine foot and ankle specialist immediately. Achilles Deformity: any abnormal appearance to the tendon should be of concern. The Achilles’ tendon is normally firm and perfectly smooth. If you feel any lump, bump, knot or nodule anywhere along the tendon, this is not normal. Achilles’ tendonosis is the most common reason for these types of abnormal changes in the tendon. However, there are other problems that can cause these deformities such as a ganglion cyst or other tendon tumors. So the first step for someone like you, right now is to think about and decide which of these three problems you have. Do you have pain when you’re just sitting right now? Do you have tenderness if you reach down and you gently squeeze the tendon just above where it attaches to the back of your heel bone? If you squeeze it it feels firm lumpy, like it has little marbles on the inside of it, does it feel different? Does it feel thicker or lumpy compared to your other tendon? Your task today is to figure out how severe the problem might be. You have to figure out whether or not your story fits closer with someone with a mild case of Achilles tendinitis or someone with a severe case of Achilles tendinitis. What Does Achilles Tendinitis Feel Like? In cases of mild Achilles tendinitis, it may feel sore, or just stiff when you first get out of bed and start walking. If the problem is mild it may start to loosen up and then feel better. Depending upon how severe it is, the Achilles may or may not really hurt when you first start running. In general, the more severe the problem the more it will hurt when you start running. A common story I hear from runners as they will say that they feel soreness when they first start running. But within 2 or 3 miles the pain starts to dissipate. That the endorphins are starting to kick in that produce the typical runners high and you get a natural pain suppression after running a couple of miles. That pain suppression may continue for another several miles. So many of the same patients will report that once they get to around 8 to 10 miles it starts to hurt again. That is not a good sign. Most patients with Achilles tendinitis will say that the Achilles tendon is stiffer, more tender and much more sore on the mornings following their days of running. This generally correlates with the intensity of the workout. An easy slow run won’t produce as much soreness the next day as would a high intensity tempo run, or speed work, or hill repeats, for example. The truth is that most runners don’t need fancy tests in order to make a diagnosis of an Achilles tendon issue. If the tendon is sore after you run you have some sort of Achilles tendon problem. X-rays are not useful in making a diagnosis of Achilles tendinitis. The only question is whether you have paratendinitis vs. true Achilles tendinitis vs. Achilles tendonosis or worse, a partial rupture of the Achilles tendon. 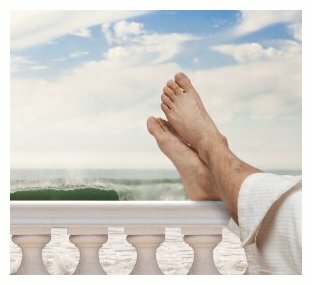 Although many doctors will do ultrasound or order an MRI, (and of course, that you have to pay for those tests) the majority of us can truly tell which of those conditions might be bothering you just by hearing your story, touching, squeezing looking at your Achilles tendon and making a decision just based on the way the tendon feels. It’s not really that complicated. This is so simple in fact that in most cases I can walk a patient through this on Skype during a Virtual Doctor Visit. If you understand what to look for, you can even do this yourself. Part of the self-analysis is trying to think back and determine whether or not you have done anything in training that may have caused a problem with the Achilles tendon. You have to think about what medications you’ve taken. Did you take any new medications a month or two before you started having problems? You have to understand why Achilles tendinitis can occur in the first place. 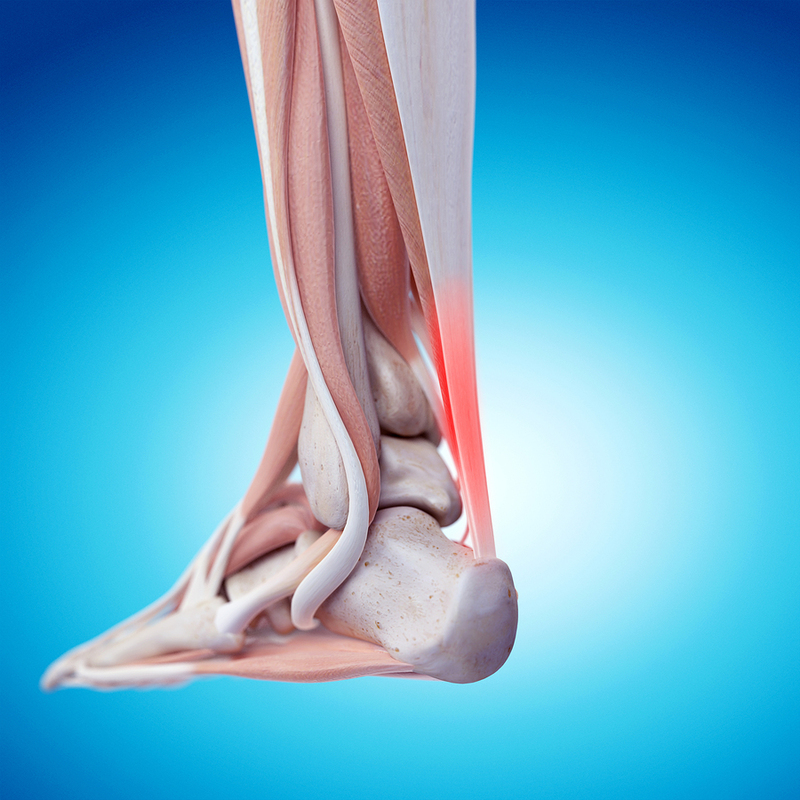 Why does achilles tendonitis occur? Achilles tendonitis occurs because too much stress is applied to the tendon before the strained tendon has fully recovered from the preceding workout. When I lecture at medical conferences, primarily to rooms filled with foot and ankle surgeons, sports medicine podiatrists and orthopedists, I argue then and I maintain here that running does not cause Achilles tendon problems. Can it be a product of weaknesses on the body or flaws in running form? I don’t actually believe that faulty biomechanics even causes Achilles tendon problems. Unless you consider or say you develop poor form or faulty biomechanics as your running form falls apart at the end of a long run. If that happens it’s not because you’re “faulty” per se. It’s not because you’re defective somehow. It’s because you’re too weak and too unstable to maintain good form, during that specific workout. In that way, weakness and instability results in the degeneration of your form in a way that delivers abnormal stresses to the Achilles tendon. Can mistakes in training cause this injury? Absolutely. My main contention when lecturing to physicians is that running does not cause running injuries. Training errors cause running injuries. For most of us runners, if you were to decide to do hill repeats every single day for the next year, I would be willing to wager that the overwhelming majority of those runners would become injured. And most of them wouldn’t take a year to develop an injury. But that would be a training error. That isn’t faulty biomechanics. That’s just doing something foolish it’s going to apply too much stress to one specific structure before can it recover from the preceding workout. As soon as we ask that question what comes to mind? Seriously, what are the obvious things? Eat a healthier diet? Would that contribute to your success as a runner? Eat high quality proteins, more dark green vegetables, dark colored fruits, and less doughnuts? Would that contribute to your success as a runner? Would it help give you the fuel that you need to repair tissues after you train? What about sleeping? Would more discipline related to going to sleep earlier so you can get enough rest to really capitalize on your workouts? Would more sleep contribute to your success as a runner? What about discipline related to sticking with your coach’s plan? Would it help you to follow the training plan as closely as possible instead of making adjustments without talking to your coach? If you go out with your friends one day, skip a workout and then jam a couple of hard workouts closer together without talking to your coach? Would that be detrimental to your workout? I would think so. So when you think about it in this way, it becomes very obvious that lifestyle choices can contribute to your success or failure as a runner. Most runners think of failure as the absence of achieving a specific goal at a specific race. In my mind failure is injury. Particularly an injury which resulted from poor lifestyle choices, sticking one’s head in the sand and refusing to address the injury as soon as it occurred. The overwhelming majority of patients I see had injuries that could’ve been resolved much faster, much sooner if they had sought treatment and tried to do something about it, even if itself treatment self-diagnosis at home, right when the injuries started to rear its ugly head. Achilles tendon injuries are like gremlins. At first, they are little cute fuzzy things. Just a little trouble and really much of a problem. But after a while it can turn into a different animal. And although it’s really beyond the scope of this discussion there are other things which can contribute to Achilles tendon issues like taking antibiotics such as Cipro. The unfortunate reality is that we as runners have to be completely aware of all of these possible treatments that might be inflicted upon us by well-meaning physicians. The doctor is trying to make you better. However, some of the common treatments used for normal patients can be really risky for people who run. One time I got pneumonia after Ironman Florida. Because I was out of town, I went to see a doc in the box. I wrote down on my intake form that I was an Ironman triathlete that I train 25 to 30 hours a week that I road 300+ miles a week and ran 50 to 60 miles a week. And the doctor handed me a prescription for Cipro. I was dumbfounded. I actually looked at him and said are you nuts you did not even read my history? But what about all the other runners that went in there that day? Did they wind up with an antibiotic that has a known association with Achilles tendon problems? Of course, I don’t know but you have to know our listeners have to know. It’s interesting how many runners I see with Achilles tendon problems who have not made any changes in their training, no changes in their running routine, but have taken antibiotics. When I really probe them to try to find out the root causes the problem it turns out that a month or two before the problems started they took one of these medications that can cause a problem with the Achilles tendon. Is there anything that can make Achilles tendinitis worse? Yes! Whatever caused it in the first place will definitely make it worse. It could be running hills. It could be too much time on an elliptical trainer. It could be calf raises at the gym. It could be too much pronation from running in the wrong shoes. It could even be caused by having too much float in your cycling pedals. Look back at your training log. Try to identify the change in routine that corresponded with the onset of pain and tenderness. Be honest about when ANY discomfort developed. After all, most runners will say that weeks or months before they noticed any real “pain” they had some sort of weird discomfort. I often hear this described as a soft squeezing sensation, like the elastic of a sock or a rubber band wrapping around the tendon. Try to think back to when you first started noticing any sort of discomfort in the Achilles. What are conservative treatments runners can do at home? In terms of conservative versus non-conservative treatment, doctors group goes into surgery versus non-surgery. However, we runners need to think of them, more in terms of aggressive conservative treatments versus non-aggressive conservative treatment. I think of aggressive conservative treatments as things that have the potential to screw you up. Corticosteroid injections are aggressive. Strict immobilization with cast and crutches is also aggressive. They are dangerous to your longevity as a runner. Most runners should first focus on the nonaggressive, low risk conservative treatments that can be done at home. Rest. When I say rest I simply mean decreasing activities sufficiently that pain starts to dissipate and the swelling starts to subside. This requires very careful attention and daily reassessment. But I’m not talking about strict rest, bed rest or stopping all activity. decreases inflammation by restricting blood-flow. Ice can applied be applied right to the inflamed area and help calm it down. Try applying ice to the affected area for 10 minutes of each hour. Just make sure you don’t put ice directly against the skin. compression is a mainstay of treatment for all things involving inflammation. With knee-high compression socks readily available there’s no excuse to not try this. Elevation promotes drainage of inflammatory fluid by using gravity to help drain all of that inflammatory fluid out of your leg. At the end of the day, when you have the most swelling, it can be really helpful to lay on your back with your feet up against the wall for about 20 or 30 minutes. If you do this while wearing compression socks it speeds the process. Heel lifts. Heel lifts placed inside the shoe can decrease the pressure and tension to the Achilles tendon. Heel pads. Placing gel pads on the tendon (at the back of the heel) may help reduce irritation. Shoe modification. Wearing open-backed shoes, or shoes that have soft backs. This will also help stop the irritation, depending on the location of the tendonitis. Avoid hiking boots and ski boots that rub on the area. Stretching exercises may relieve some of the tension in the Achilles tendon that started the problem. If you have Equinus Deformity (or a tight heel cord) this is critical to prevent it from coming back again. Topical Anti-inflammatory Medications. NSAID’s in cream or lotion form may be applied directly to the inflamed area. With these, there is no concern for stomach upset or other problems associated with oral medication. How long and how often should runners try at-home treatments? There is really no set timeframe that can be predictable for all runners. The conventional treatment regimens I hear from other doctors when I speak at conferences is they will tell their patients to expect 6 weeks to 3 months of no running. Of course, I don’t follow that formula. I think we’re all individuals, and we’re all different. We all have different injuries, or differing severity of those injuries. Runners need (and should expect) fast improvement. You have to figure out the fastest way to stop the inflammation and decrease the stress so you can continue running while the healing process continues. Much of the timeframe is goal dependent. What I mean by that is, if you are doing Boston, and it is a year away, you have some time to recover, ramp up and run the race. If you are running Boston in 4 months, you can’t take 6 weeks off during your maximum build phase. In some cases you can experiment with treatments, but in other cases you just have to arrest the inflammation and come up with some strategies to decrease stress to the tendon enough to make it through the even without sustaining more damage to the tendon. That is part of why it is critical to work with a coach and a doctor who focuses on your goals, rather than focusing on the injury. I always tell my patients if they are getting better, their symptoms are going down, then they should start increasing their activity. Then it is simply a matter of making sure the decreasing symptoms are in line with the goal. But if you and your doctor are creative, you can often keep running and still recover. 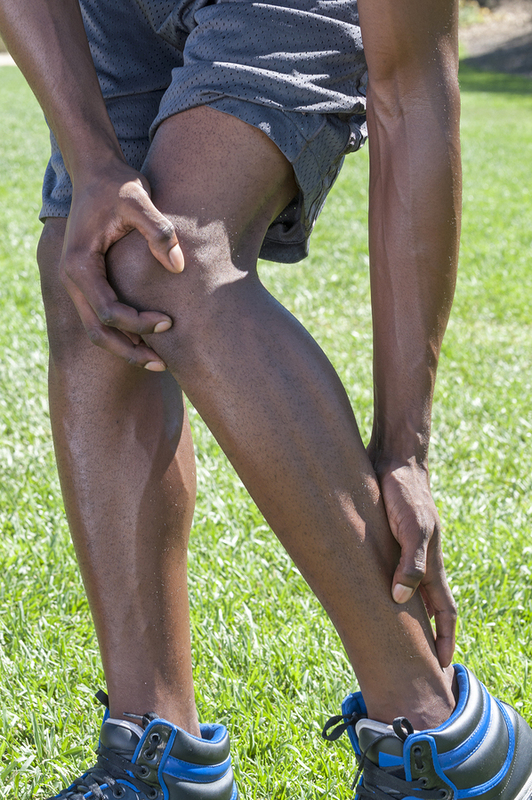 What training modifications can runners implement for this injury? The key is to uncover the most stressful workouts. Talk to your coach and figure out how to substitute workouts that are less stressful to the tendon. If you know hill repeats caused the problem with the Achilles, you know your Achilles hurts more after you do hill repeats, maybe you could do mile repeats on the track. I think of aggressive conservative treatment is anything prescribed by Dr. that it is either time-consuming, expensive, invasive or in someway has the potential to jeopardize your ability to run. Everything involving a pill, a needle, a scalpel, a cast, a fracture boot or crutches should be considered aggressive…especially for runners! Home Physical therapy. Physical therapy, such as ultrasound, massage and stretching can all reduce inflammation. Oral Anti-inflammatory Medications. NSAID’s (non-steroidal anti-inflammatory medications) such as Motrin, Aleve, are available without a doctors prescription. One thing that most runners don’t seem to understand is that over-the-counter anti-inflammatory drugs only work to reduce the inflammation if you take them very, very consistently. You have to take prescription strength doses for at least a week to have any real hope of reducing the inflammation that is causing Achilles tendonitis. So if you take over-thecounter anti-inflammatories as prescribed on the bottle it’s unlikely to actually be sufficient. And just as a warning: you should not take prescription strength doses of any medication without talking to your doctor first! If you reduce the motion, you reduce the stress to the tendon. That is the idea behind immobilization. I wouldn’t typically recommend in mobilization for early forms of Achilles tendinitis. However, if you’re not responding to the less aggressive home treatments it is possible to order a fracture walking boot on line. In some cases runners only need a week or so to get the tendon to calm down. But a word of caution, immobilization can exact I heavy price. You’ll predictably get weaker and stiffer anytime you immobilize your foot and ankle. If conservative treatments don’t work, what are the next steps? Pretty simple. You just have to take the next most aggressive step. What are the pros and cons of aggressive treatments? Is there any research/statistics you can share? Nothing in medicine is free! For every benefit, there is always a risk. The riskier the treatment the more likely you’ll need the help of a physician to guide you. We talk about all the more aggressive treatments treatments in part two of this series. But as an example, if you take NSAIDS, you can decrease inflammation. You don’t even need a prescription. You probably have some in your medicine cabinet right now. But studies have shown an association between NSAID use and slowed healing of tendon to bone interfaces. So do that with caution. The important thing right now is to make sure you understand how to reduce the stress and inflammation that can cause problems are prevent healing of the Achilles tendon. Are there any rehab and prevention exercises/stretches for this injury? Stretch the Achilles tendon to make it more pliable. Strengthen the calf muscle to make it stronger and less prone to fatigue. The Static Gastroc stretch is one of the best to help stretch the Achilles tendon in runners. Instead of trying to explain it, we will send a link to RunnersConnect with a demonstration video showing exactly how to do it correctly. These stretches will help increase the pliability of the tendon so it can absorb forces more dynamically. When it comes to the Achilles tendon and its propensity become reinjured you really have two factors at play. The tendon is just a cable of collagen. The muscle that attaches to that cable absorbs forces dynamically. But it only absorbs forces dynamically when it is strong, firing efficiently and you are running with good form. By stretching the Achilles tendon you make it more pliable with the specific intention of making it less prone to re-injury. How often and how many should runners do for the best results? For recovering runners I usually have them do the stretches 3 times a day. That may sound like a lot, but you only hold each stretch for 10 seconds. Since you stretch each leg 3 times, that is only 1 minute TOTAL time per session. So, truthfully, wouldn’t you agree that you could find one minute to stretch, just three times per day? For those just hoping to prevent Achilles tendon issues, I would recommend twice a day. So for those trying to head off trouble with the Achilles tendon, they only need to take 2 minutes out of the day to stretch. If you have a mild form of Achilles tendinitis and you do something to decrease the stress and reduce the inflammation you will start to improve. If you have a partial tear in the Achilles tendon if you have an advance problem like Achilles tendinosis, you aren’t really going to get better. There is another side to the value in self treatment. Even if you don’t get better, the information you give your doctor about what treatments help, what treatments didn’t help how you did those treatments are all extremely useful in determining which of the advanced therapies might be helpful in your case. Look, the truth is most patients I help have already been to several doctors. They call me because they’re not getting better. I’ve seen world-class runners who went to the number one hospital in California, one of the top five hospitals in the entire country, and even after an entire team of specialists evaluated them during the run clinic, they still got misdiagnosed. But then when I sat down with this particular runner to figure out why he was still having problems, I made the right diagnosis. But it’s not because I’m smarter than the entire Run Clinical team. It’s just because I had the benefit of hearing all the different treatments he tried and failed. I had more information. Your self treatment process will give your doctor way more information if you don’t get better. But of course, the entire process of self treatment just might heal your Achilles tendon and get you right back to running. If you happen to be one of those runners who has heard about Achilles tendon problems and just wants to make sure you don’t get it, the most important thing you will hear today is that you have to be aware of those weird sensations that happen in the Achilles tendon watershed region just above the heel bone. Over and over I have heard runners tell me that months before real trouble began they noticed this weird sensation of a sock squeezing the tendon, a rubber band wrapped around the tendon or some sort of strange pressure in the tendon. This, I believe is just fluid accumulating within the paratenon surrounding the Achilles tendon and stretching those little nerve fibers. I myself have had this happen probably half a dozen times the last few years. Of course, I recognize it for what it is. I immediately stopped running for two or three days. I wear compression socks for the next couple of days. In most cases it went away almost immediately without even applying ice. But in those cases where it lasted for a day or two I would do the contrast bath routine and it would resolve. Achilles tendon disaster avoided! With the early forms of Achilles tendonitis you may have to do those same treatments for a little bit longer to get the discomfort to go away. You might have to add a heel lift under your shoe insert to decrease some of the stress and tension on the Achilles tendon. Regardless of which interventions you attempt at home, the most important piece is that you are assessing your progress. If the pain is decreasing, you have less tenderness each day, and if the swelling around the tendon is clearly subsiding you’re on the right path. Inflammatory fluid accumulated around the tendon will feel soft and squishy compared to the other tendon. If you’re taking steps to reduce the stress, reduce the inflammation that fluid should start to go away pretty quickly. If the tenderness is not improving, the swelling is still present and you don’t seem to be making any headway you have to do something else. Remember, that inflammatory fluid that produces the swelling has degradative enzymes that actually breaks down the collagen in the Achilles tendon. This produces irreversible damage to the tendon. Don’t stick your head in the sand. Take action. Just add the next most aggressive treatment. If needed, take a couple of days off running. Don’t stop exercising. Just do something different that won’t stress the tendon. Go to the gym. Swim. Do deep water running. Work on your core. Don’t lose your fitness. And don’t lose hope, either. The earlier you identify inflammation and any issue with the Achilles tendon, the easier it is to get it to go away. If you identify it right when it begins it may only take one or two days to get rid of the problem. But if you ignore it and keep training for months it’s possible to do permanent damage to the tendon. Even if you’re not traumatizing the tendon anymore with back to back hard workouts, the accumulation of fluid around the tendon creates a state of chronic inflammation. Chronic inflammation will predictably lead to degeneration of the collagen and development of Achilles tendinosis, partial tears in the Achilles tendon and if ignored long enough, even a complete rupture of the Achilles tendon. Although we discuss all of those conditions and treatment options in part two of this series, you have to take the information you learned here and really apply it over the next week to see if you can make some progress on your own. When runners like you take early intervention to simply reduce the inflammation, right when Achilles peratendinitis starts, the trouble goes away quickly. When runners have Achilles tendonitis and they both reduce the inflammation and reduce the stress enough to allow the tendon to calm down and heal, the trouble goes away quickly. 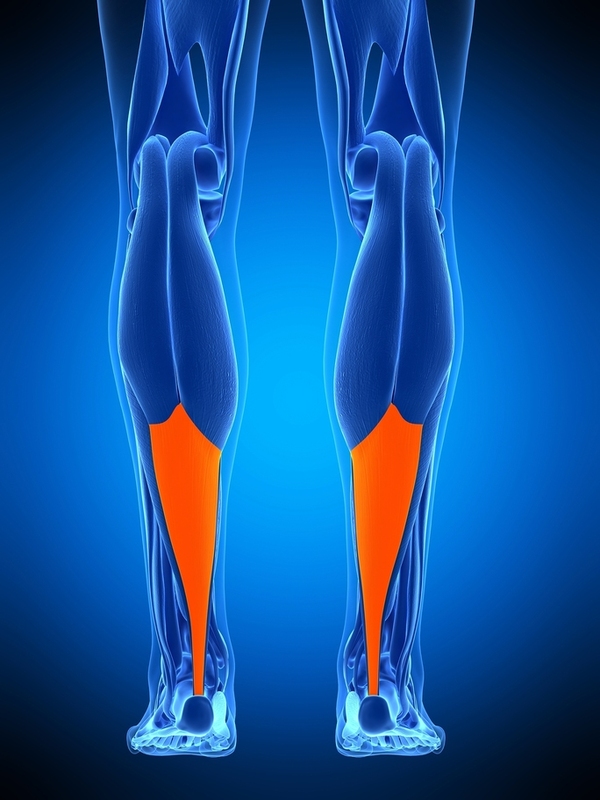 You just have to be aware of the discomfort in the Achilles as soon as possible. Early intervention, even if it’s home treatment is really the key. Make a decision right now about whether you most likely have paritendinitis, true Achilles tendonitis or Achilles tendinosis. Based on what you learned today pick three simple things you can do to reduce the inflammation and reduce the stress on the tendon. Do those three things for one week. If you have not improved, then you can move on to Part 2 and figure out what you should do with a more severe case of Achilles tendonitis. If you have a question just post it as a comment, either enter it here or post it on Twitter and tag @MyRunningDoc and I will post a reply.